Our Indianapolis chiropractor, Dr. David Bax, and our entire staff here are pleased to welcome new and returning patients. Our Indianapolis chiropractor focuses on not only chiropractic care, but also whole body wellness. 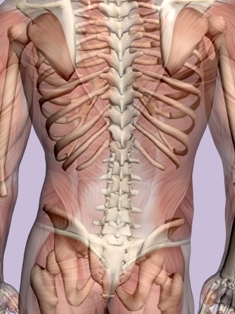 We offer spinal adjustments, acupuncture, laser therapy, and dietary guidance. The methods we use here at our South Indianapolis and West Indianapolis Centers include a variety of therapies to treat pain-causing conditions such as sciatica, fibromyalgia, back pain, neck pain, headaches, carpal tunnel, ear infections, slipped disc, whiplash, arthritis, osteoporosis, and many other conditions. At our Centers, we work to alleviate the symptoms and pain you are suffering with natural and non-invasive methods. 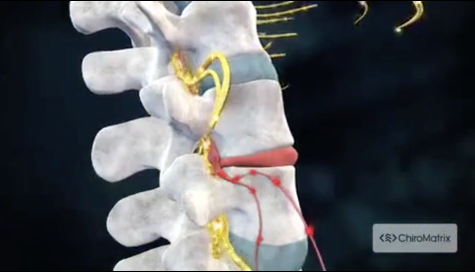 The treatment plans we design include chiropractic care, which is a series of gentle spinal manipulations performed by our licensed chiropractors to realign the spinal column into its proper position. 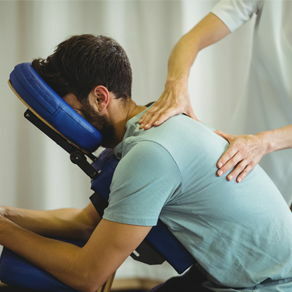 We may also employ manual therapy, either before or after a spinal adjustment, as a way to help enhance the healing effects and to reduce the pain and inflammation. Another type of therapy that may be used is cold laser therapy. This type of treatment is designed to stimulate the mitochondria present inside the body's cells. When cells are functioning at their peak, tissue can repair itself more quickly, and injuries can therefore heal more rapidly. Cold laser therapy is also able to help the muscles relax, and is therefore an excellent method of pain relief.In some cases, physical therapy techniques may be used along with our chiropractic techniques and other therapies. Physical therapy may include healing methods like the application of heat, ice, strengthening exercises, and gentle electrical stimulation to affected areas of the body. Whether our treatment plans employ chiropractic care alone, or in conjunction with other therapies, the ultimate goal is pain relief and complete wellness. Our team believes that total wellness can only be obtained when your lifestyle is truly balanced. It is for that reason that we offer our patients nutrition counseling, advice about exercise, and recommendations about lifestyle changes to complement the treatments they receive in our offices. Whether our patients arrive at our offices due to a condition like fibromyalgia, sciatica, or merely need some help with better nutrition and lifestyle choices, we are here to help. Please call us now at 317-291-7246 to schedule an appointment at one of our offices. I just wanted to thank you for helping me get well. I am amazed at the difference in my body now. My back has been pain-free for over a month now. I just got done doing a workout that I haven't been able to do since I was injured!!! So, I am almost 100% better thank-you.